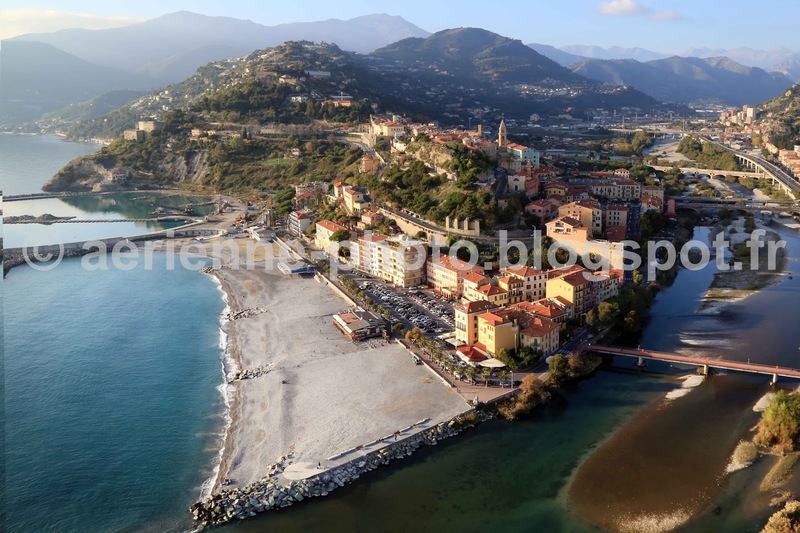 The river Roia meets the sea at Ventimiglia dividing the town in two. The old medieval city, perched on a hill (centre photo), overlooks the 19th century town on the other side of the river. The present day name was derived from its ancient Ligurian name "Albium Intermelium" meaning capital of the Intemelii. Todays population is around 55,000. The town is 7km from the French border.